Both in and out of context, this passage seems unforgivably unoriginal or embarrassingly Pollyanna; at the very least, it would initially seem to mark Eagleton’s book as a mystical rather than an intellectual document, and therefore geared towards directly contradicting the works of the most famous of those writers known as the New Atheists, Christopher Hitchens (God Is Not Great) and Richard Dawkins (The God Delusion). It would seem that Eagleton has seen these authors’ dichotomization of science and religion and is confirming it, but from the other side of the divide. In fact, I believe this passage, is actually a rather cagey example of what is known as a straw man. It may be that Eagleton believes that God’s creations are lovingly created works of art, but that’s beside the point. Appearing to set up a clear distinction between reason and faith, it is reason and its formal applications (particularly in academic and/or highly specialized scientific arenas) that are apparently being disparaged. Yet, Eagleton also slyly ridicule formal religion, leaving only a God who strikes one as surprisingly sensitive and decidedly New Age. What remains, in other words, is a confident pseudo-mystical assertion that follows claims about the inadmissibility of all assertions made with any sort of confidence. Why do this? First and foremost, I suspect, in order to set up the focus of his prolonged critique of the methods of the New Atheists; he is engaging, for a brief and maddening moment, in the sort of self-satisfied but half-formed sort of argumentation for which he takes Hitchens and Dawkins so thoroughly to task in the remainder of the book. He is showing just how sloppy their unfinished and unreflective rejections of religion look like from the other side; based on the quotations from their books he provides here, however, Eagleton does so with a great deal more rhetorical finesse. This is not a book which focuses primarily on addressing yes or no questions in relation to religion versus science; it is a book about raising the stakes and modes of this debate. For the most part**, Eagleton focuses on being, if not polite to his opponents, at least respectful enough of their projects and claims to address rather than simply dismiss them out of hand, with a scornful flick of the rhetorical wrist. 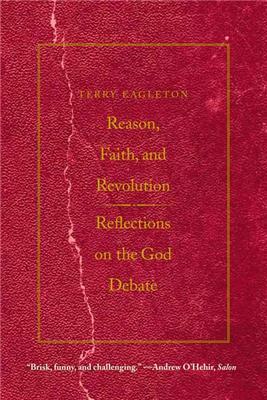 Indeed, what is both most laudable about Eagleton’s critique of New Atheism is that unlike Dawkins, he is more than happy to admit that it’s precisely because of his enemies that he has this work to do in the first place: “Without God, Dawkins would be out of a job. It is thus particularly churlish of him to call the existence of his employer into question” (p. 9). 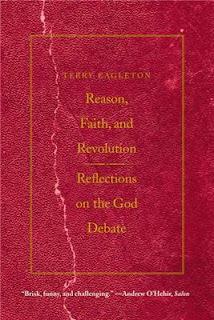 How well this book refutes Dawkins’s and Hitchens’s arguments I can’t truly assess for as I’ve noted, I haven’t read their books; further, if Eagleton’s assessments of their research is correct, I have a better understanding of Christian history than they do (a terrifying notion, for I haven’t read the Bible in its entirety, much less studied the religion in any depth whatsoever)! This, however, doesn’t mean that I know enough to be sure that Eagleton himself isn’t making any theological blunders. I can say, that as a model of argumentative vigor and integrity, as well as surprisingly enjoyable read which manages, quite unusually I think, to convey complex ideas in readily comprehensible language, it is a fine specimen. **The only point at which I feel Eagleton fails in this regard is in his constant referral to Dawkins and Hitchens as the hideous, double-headed Hydra he terms the “Ditchkins”. This is amusing, yes, but not only does it not add anything to his argument but to me it also shows that Eagleton is not as immune to the temptation to taunt his subjects as he ought to be, if he wants to ensure that his narrative transcends theirs in terms of both moral tone and maturity. CURED!!!! I look forward to congratulating you in person. The book sounds intriguing but even better that you are cured of your reading slump! Who would have thought that it would be a book like this one this did it? Ying: I look forward to being congratulated. And having the heat storm from hell end. 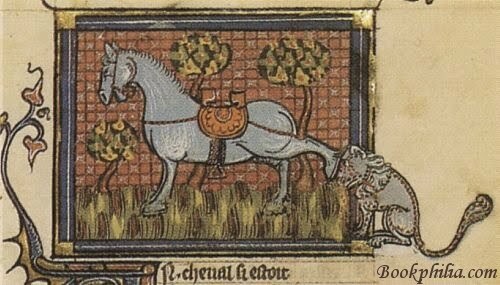 Uggg. Kevin: He hasn't extended our knowledge of the world; he's extended our knowledge of how Dawkins and Hitchens get it wrong. That's true, but the book is so much more compelling than that makes it sound....And, no, I don't think he discusses Kant but I'll double-check and get back to you.